Are you looking for information on the company Zhengzhou Flyhigh Co Ltd Based in Henan China who sells Poly Aluminium? If so, read below to read one buyer’s experience with this company. 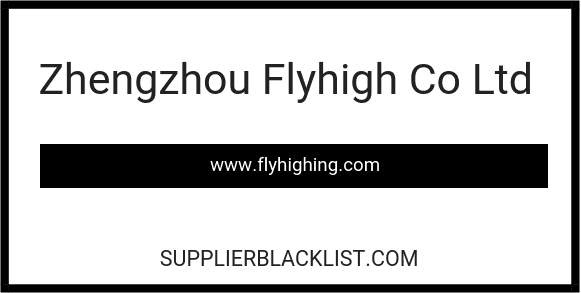 Also you will find related search links to explore more about Zhengzhou Flyhigh Co Ltd Based in Henan on Supplier Blacklist and across the web. 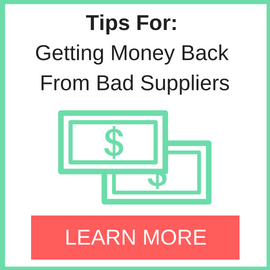 I have already filed a report on this shady company, but I found out they even listed a different address on different sites, so I will make another with one more address that they listed. Zhengzhou Flyhigh initially contacted us through this email: bltsales01@163.com (which I will be referring to as Manager to distinguish) and told us to wait for contact from his colleague: bltsales5@163.com (Leo Liu). After that, we only communicate with Leo Liu. We negotiated to buy Poly Aluminium Chloride and reached an agreement. So they sent us a Proforma Invoice, which we signed and sent back to them to confirm the order. The Proforma Invoice also stated that the payment term would be 30% TT in advance and 70% against B/L copy so we transferred 1967 USD to their account and Leo confirmed that they have received the money. However, after a few days, Leo emailed us, saying his Manager had increased the price to more than 10% of the original price. When we disagreed and asked for a refund of our deposit, he said that the Manager would not allow it and said that that is his way to ‘build business’. Leo also said that he would be resigning from the company (which has not been proven true to this day) and we had lost our only contact to the company. We tried sending them emails saying we would agree to their ridiculous conditions, but they completely ignored our emails and we have not received our money nor our order to this day. We even tried contacting through phones as we have a few associates in China, but every time they mention our company’s name, Zhengzhou Flyhigh would hang up and will never pick up any calls after. I have found that the Manager’s name is Chen Xulei and got his contact number. But after looking online, I have also found that another company name Henan Bright also has the same address, telephone number and email address listed. They maybe a parent company of Zhengzhou Flyhigh, please help us get our money back, or at least make them deliver our goods. Thank you very much. 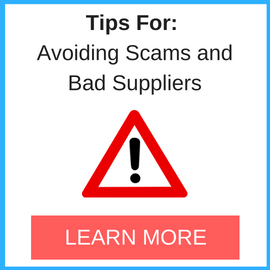 Be careful with Chinese companies. Need More Info on Zhengzhou Flyhigh Co Ltd Based in Henan? If you need more information, you can click the below links to search for more submissions about Zhengzhou Flyhigh Co Ltd Based in Henan on Supplier Blacklist as well as go to the search results page on Google for more reviews online about this company. Do you have any results by negotiations with this company? I’ve boght Caustic Soda from them bltsales2@163.com (Andy Wan), but they are postponing realize of Maesk container for the second time already. So I already got doubts about Zhengzhou Flyhigh / Henan Bright. Still hope for something better.